Defenseman Brady Skjei, a restricted free agent, and the Rangers agreed to terms on a six-year contract, the team announced Saturday. Skjei will receive $31.5 million over the life of the contract, according to multiple reports. 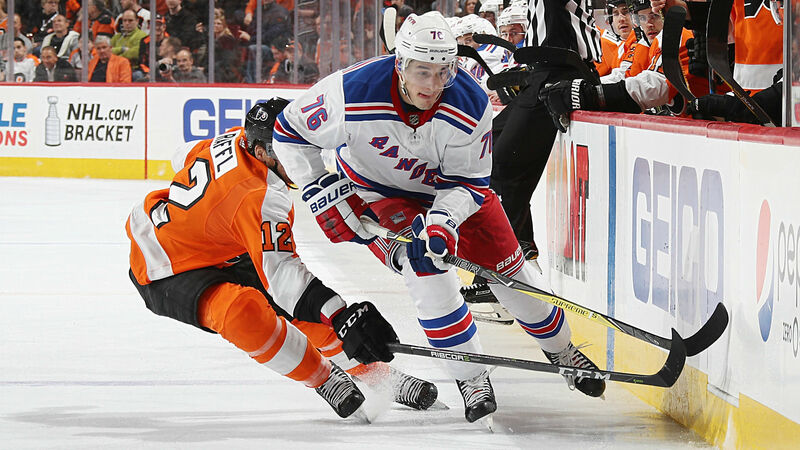 Skjei, 24, had four goals and 21 assists last season, his second full season with the team. He averaged 21:02 in ice time last season and was the only Ranger to play in all 82 games. Skjei received a big contract despite a drop in production from his rookie season (5 goals, 34 assists) when he finished 10th in voting for the Calder Trophy. Skjei was plus-11 his rookie season but minus-27 last season as the Rangers missed the playoffs for the first time since 2009-10. Skjei was selected by the Rangers in the first round of the 2012 NHL Draft with the 28th overall selection.